A Call for "Random Acts of Indie Kindness"
There is a blog article making the rounds that is very cruel about indie authors. I'm not going to link to it, because I think the attention was one of the author's motivations. It's made a lot of people upset, and I've seen several blog posts come across my feed replying to it. But I think there's an even better way to reply to the article, and that is by showing the strength, unity, and friendship that makes the indie community so unique, so special. Every day, I see indies extending the hand of friendship to other authors, coaching, assisting, lending their skills, and cheering them on. It's inspiring and it's beautiful-- and it's why the indie community is going to continue to grow and thrive. So, please, take that blog post as a challenge to show some kindness to a fellow indie author. 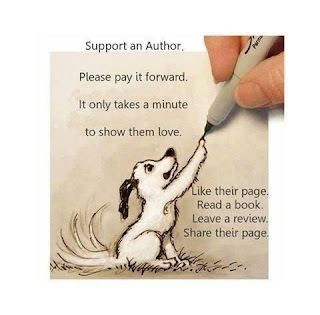 Go leave a review for an indie book you loved. Send a message of support to an author you know is struggling and tell them you're rooting for their success. Buy that book you've been considering. Tell all of your friends about an amazing indie book you read and request your local libraries/bookstores carry it. Share their posts on Twitter and Facebook. Do an act "Random Act of Indie Kindness" whenever you see that blog post mentioned and show everyone how powerful the indie book revolution is. We're shaking up the world of literature and that scares some people. But ours is a revolution of unity, support, and friendship. It's what makes us strong. It's the reason why we're going to survive and keep growing. It's why we're going to continue shaking up the publishing world, putting the power in the hands of authors and readers. We're changing the world of books, and we're doing it together. 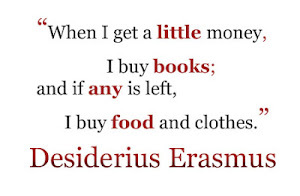 Such a great idea, Lissa! Shared it. Thank you. I hope it keeps growing. We need a sense of solidarity. It's our armor against the "slings and arrows" of the bitter world. I've created a t-shirt for this purpose. 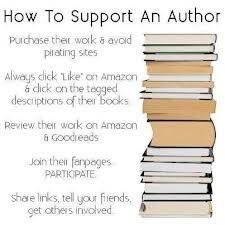 It's nothing fancy, simply says "I support Indie Authors" but I thought it would be a great way to show solidarity. I like it! I shared it with my friends on Facebook and Twitter. Amen, Lisa! I was hoping this was what this blog was about. I read enough of that post to walk away shaking my head. And no, I would NEVER comment on it. Not to hog your blog, but to show my support...here's what I wrote on Facebook. That's a great response, Carmen. You're right. The best "revenge" in the world is to love what you do and keep on going. Most of all, we need to encourage one another. Community is what makes us strong. I love the fact that if you need a little help and advice, there are more than enough encouraging and supporting people out there just falling over themselves to prop you up and point you in the right direction with no requirement of return or attention to themselves. 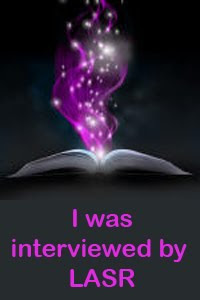 The experiences shared and tips given by all are more than worth a read, and sometimes I do wish I could absorb all the helpful hints proffered at the same time as writing furiously and tackling life getting in the way - but only so many hours in the day! However, the Indie author community is one I am so glad to be part of and hope that I will be able to contribute to in the future when I am a little less 'wet behind the ears'! I'm a hybrid, only recently having branched out to the indie route. It's very interesting! 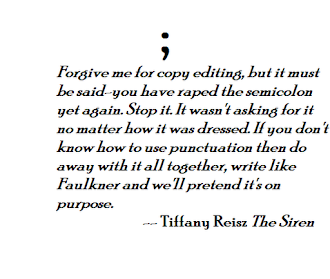 What gives people the right to put down indie writers as a whole? It's ridiculous. I'm currently working with an indie author who's writing post-apoc books. I've been helping her edit the series and I'm very much enjoying it. She's very brave for going the indie route from the start and she's done very well.